Did you know that a Stressless is in fact a mechanical precision instrument, with a wealth of patents behind its renowned sitting comfort? This is a classic design for those pleasant morning moments. Our patented Plus-system makes sure you have full back and lumbar support in all positions. The ottoman has a built in glide function, which follows your legs as they angle. This makes the worlds most comfortable recliner even more of a revelation. 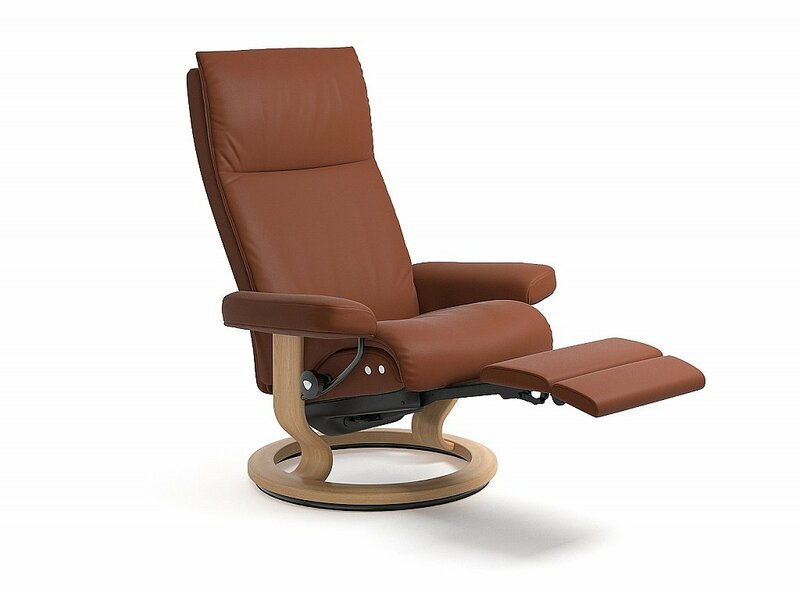 I would like more information about Aura Recliner Chair by Stressless.